What can I say? 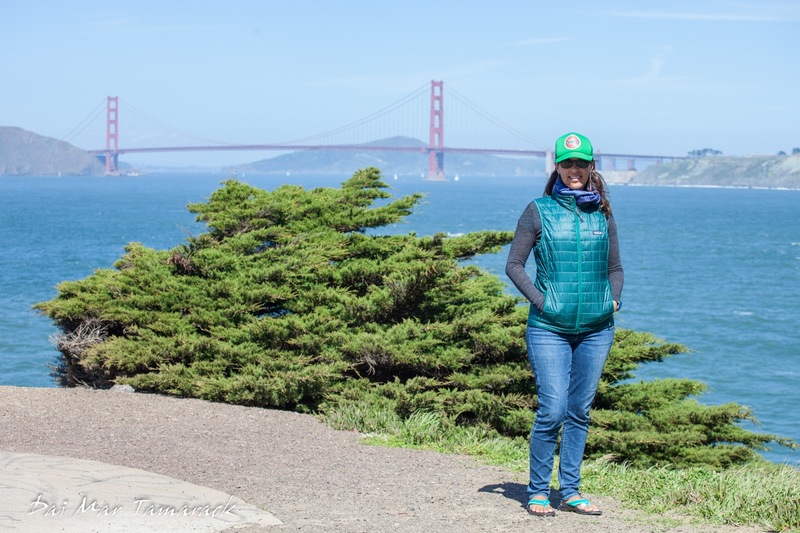 San Francisco was absolutely beautiful during our spring visit this Easter. Heidi and I scheduled a four day layover here to visit with friends in the Bay area on our way east from Hawaii. 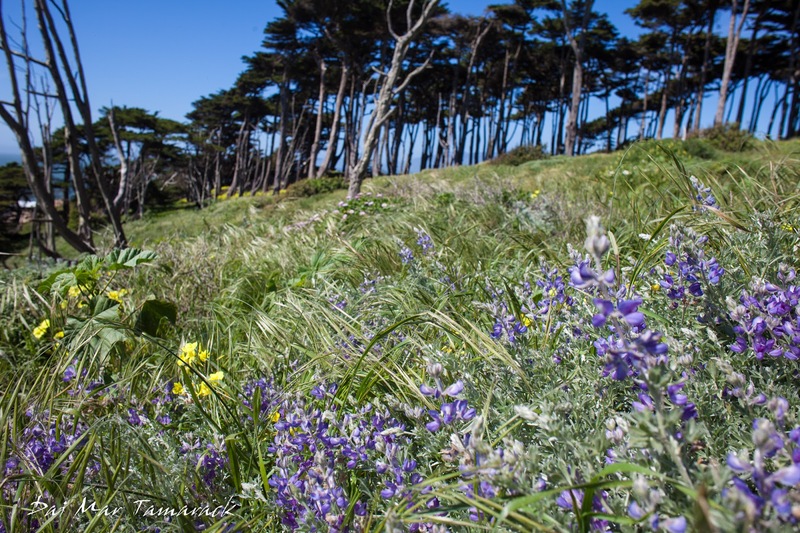 I wanted to head out to some of the hiking trails to get views of the coastline and the Golden Gate bridge, and was surprised to get blooming wildflowers and sunshine as an unexpected bonus. The first spot we hit was a place called Lands End. This is where the San Francisco Bay dumps out into the Pacific Ocean. 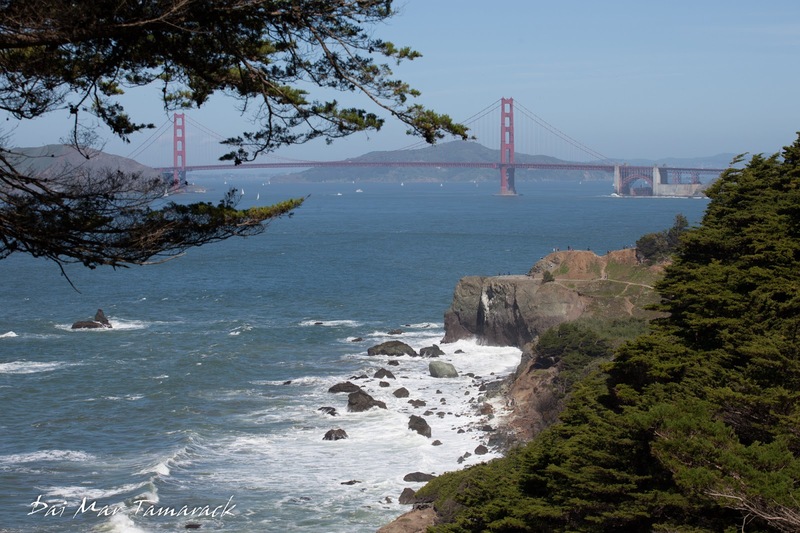 A famous surfing beach called Ocean Beach is nearby, there are hiking and biking trails along the cliffs, and you get several beautiful views of the Golden Gate Bridge looking back towards the city. 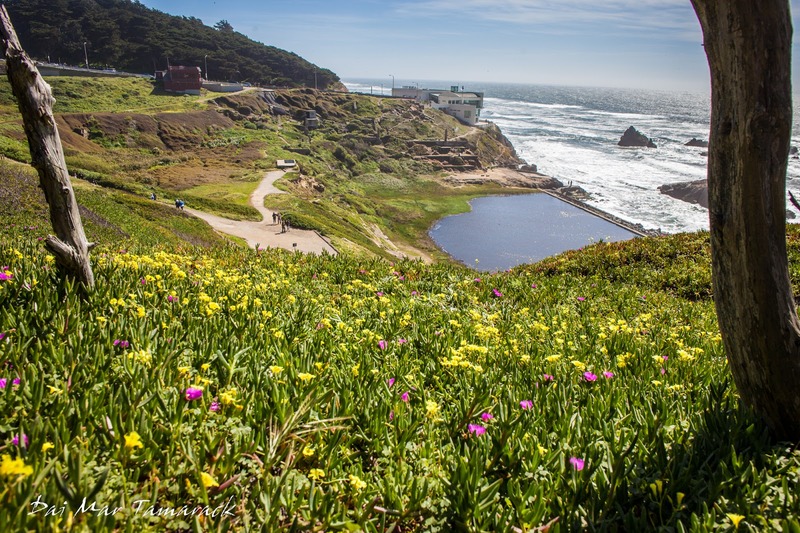 The wildflowers were in full bloom as we looked over the old baths and the famous Cliff House. 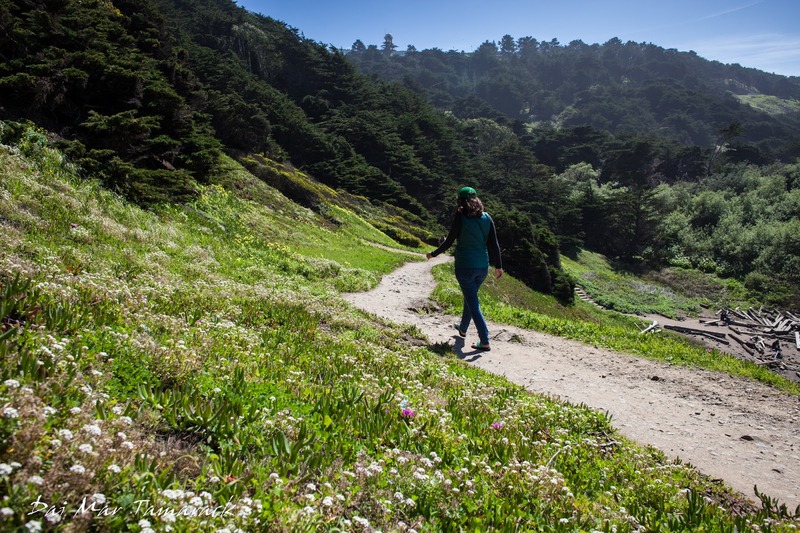 Purples and yellows accentuated our first views of the Bay area. This was the beginning and ending of our trail. For our next trek we drove up to the very busy Muir Woods National Park. 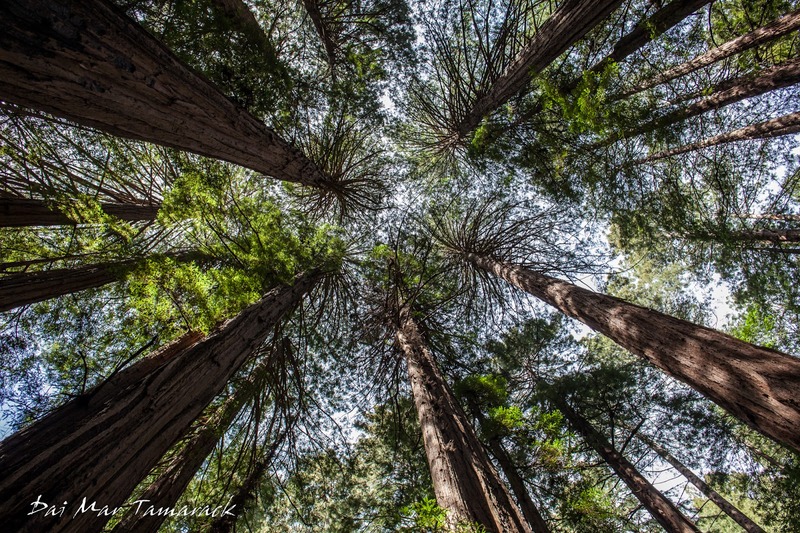 I had been here way back in 2006 but apparently I had forgotten just how magnificent the redwoods were here. We had to jockey for a parking space since the beautiful spring weather had enticed many city people out of their winter slumbers. 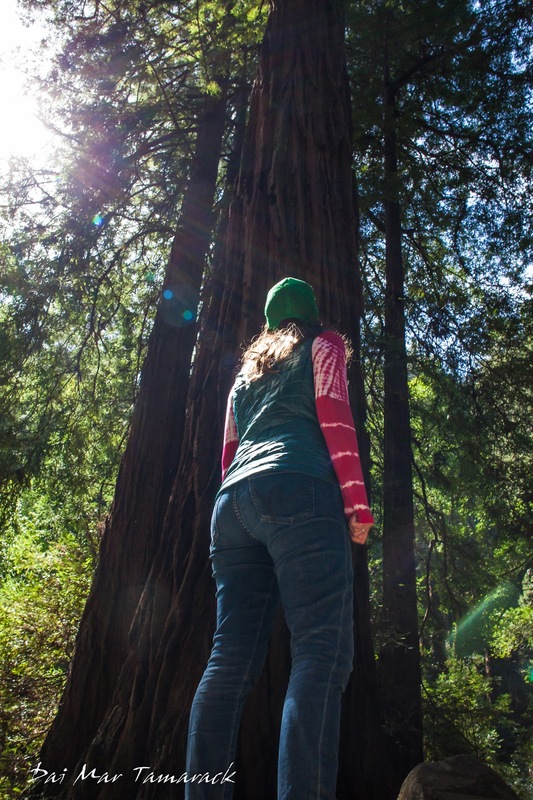 Once we were deep into the trails though the mobs slowly cleared and it felt like it was just the two of us walking through a tree created cathedral. We will soon be following in the footsteps of John Muir up to Alaska to marvel in the glaciers and nature that he made the world aware of in the late 1800's. 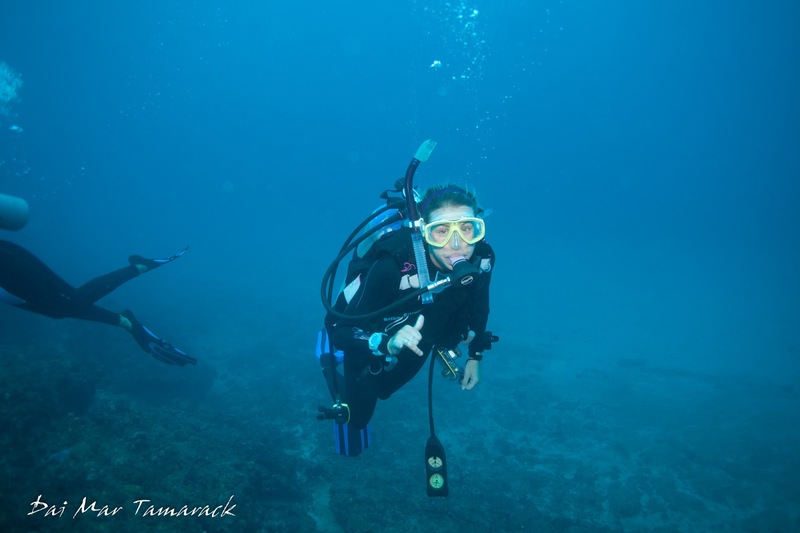 I realized recently that I've gone scuba diving all around the world, on four different continents, but the closest I have come to diving in the Atlantic Ocean was Puerto Rico...which is still pretty much the Caribbean. This all sounded pretty crazy to me since I grew up in Savannah, GA right on the Atlantic Ocean! But I also grew up not hearing about anyone diving in the murky, organic ocean water there. 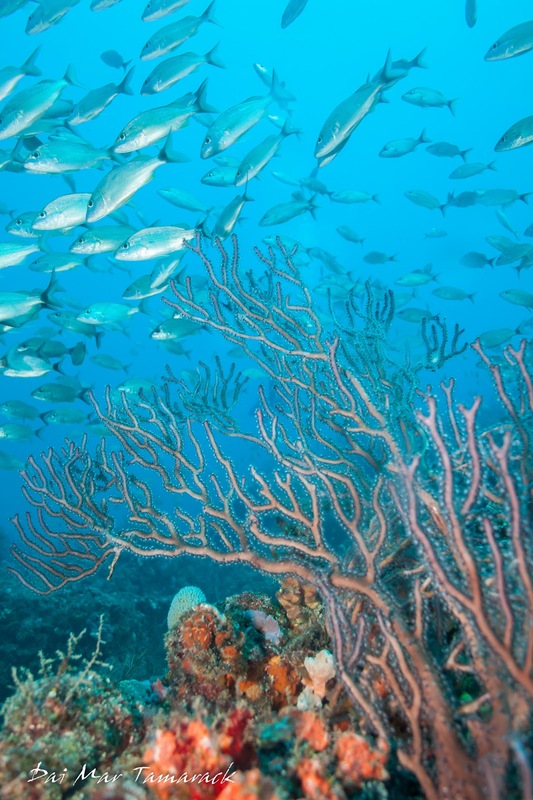 Even though I have spent countless hours and days playing in the ocean water of the Atlantic its underwater world has always been a bit of a mystery to me. Nate and Kelly to the rescue! 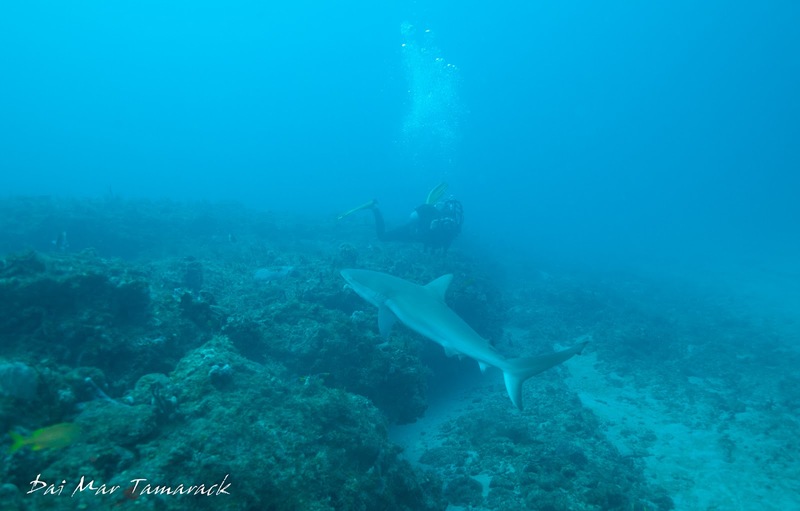 While Heidi and I were planning our Florida road trip to see our friends in Miami, Nate mentioned a possible shark dive while we were there. 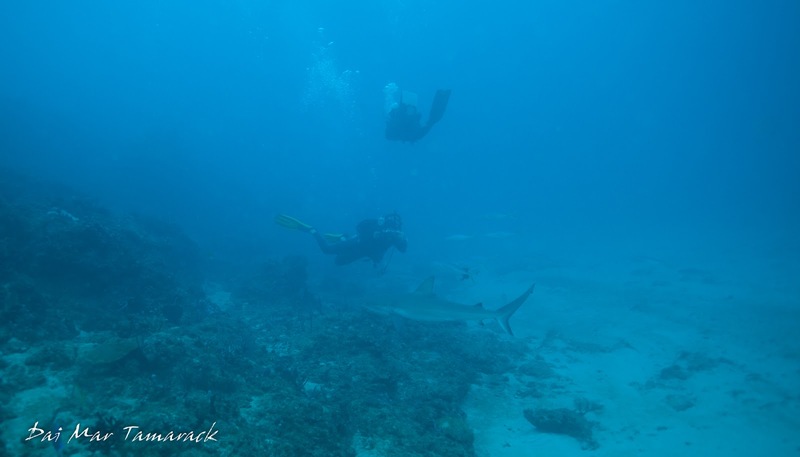 I had definitely heard of a muck dive spot in Jupiter called the Blue Heron Bridge but a shark dive was news to me. It didn't take a lot of convincing though for me to be in for the adventure. And adventure it was. 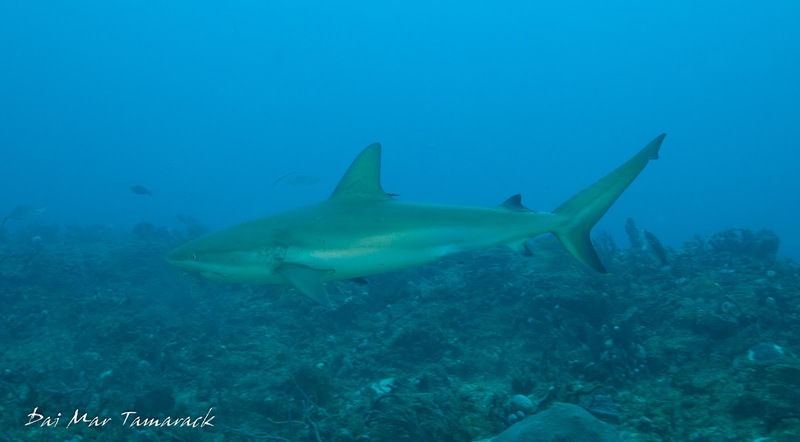 There are a couple of possibilities for shark dives in Jupiter. We ended up going with Jupiter Dive Center which is a bit more eco-conscious, i.e. they don't chum for sharks, but on the other hand the don't chum for sharks. So pros and cons. 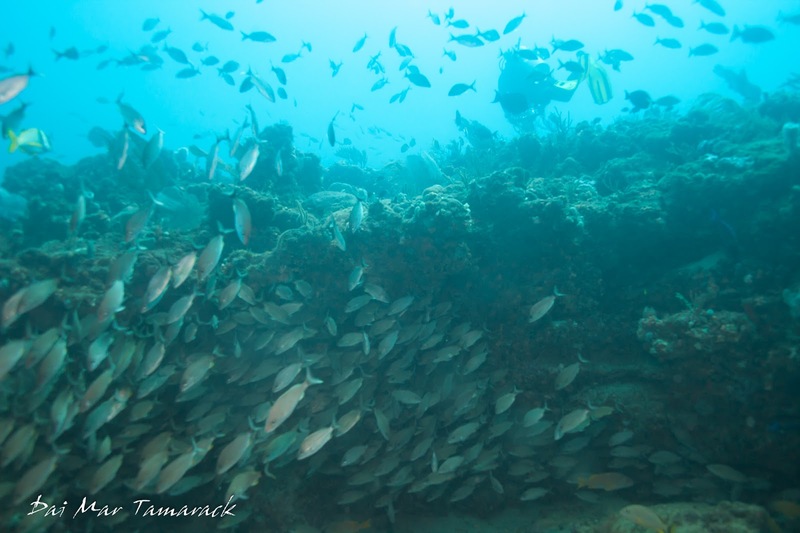 There are a few companies that go out to some wrecks specifically to chum for sharks, but we were eager to check out the natural reef and they were all filled up anyways. 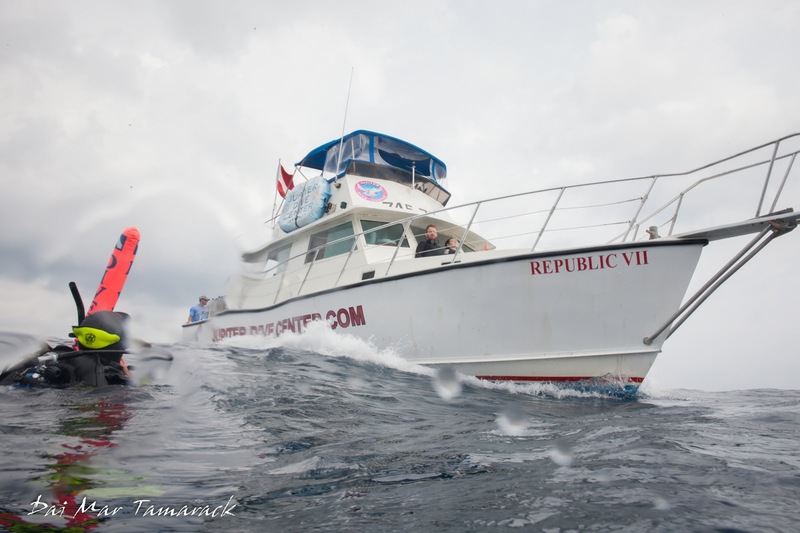 It is a 2 dive boat trip which is definitely part of the adventure. This might be the only area in the world that expects you to have your own tank, and set up all your own gear at the beginning, middle, and end of the trip. The boat ride itself gets pretty wild as soon as you make the turn out of the river when the typical short period wind swell starts and never stops. The dive sites are located a few miles offshore, so its miles of nothing around with the tall building of the shoreline visible to one side. On our day we had one dive guide for about 18 divers, and you were encourage to do your own thing with your buddy once you descend. 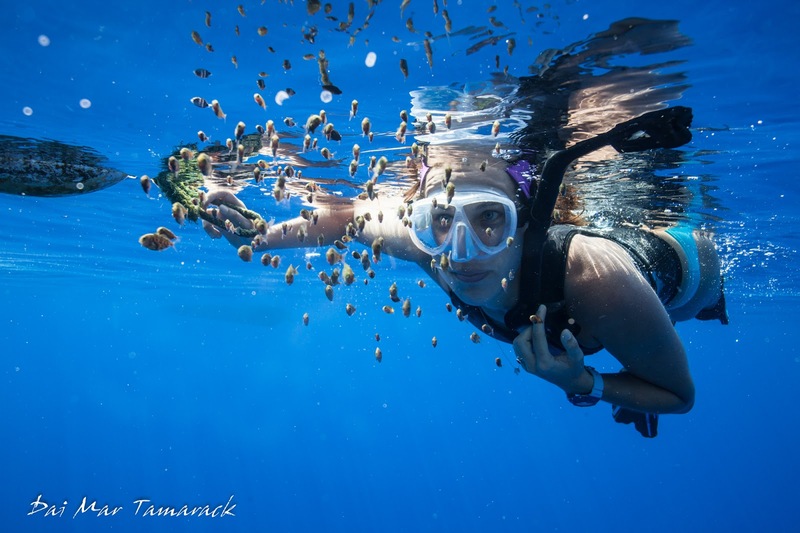 I had never seen anyone bring spear guns on a dive trip but there were several on this one. It is also a drift dive. So the boat doesn't anchor, instead it goes into neutral, gets sideways to the waves, rocks like crazy, as the deckhand is shouting, "dive, dive, dive." I felt a little like we were military parachuters ready to jump. I wasn't sure what to expect of the visibility of the water. It was overcast and looked inky and dark at the surface. 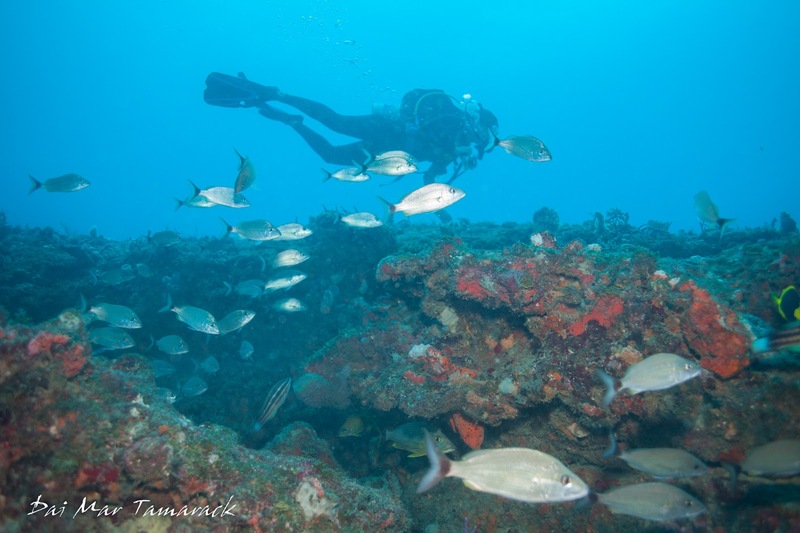 Our first dive site was Area 51 which was a blue water descent down to a rocky ledge starting around 70' deep. My initial reaction was surprise at seeing the bottom shortly after starting my descent. The visibility ranged from 30-60ft which was far better than I was expecting. The next surprise came from the reef itself. It was covered in soft coral, like sea fans, all waving in the strong current. I could kick up-current if I tried but except stopping to take pictures it was quite nice to drift along, caught up in the gulfstream. About halfway through the first dive as I was taking a picture of an interesting fish Kelly poked me hard in the should to get my attention. 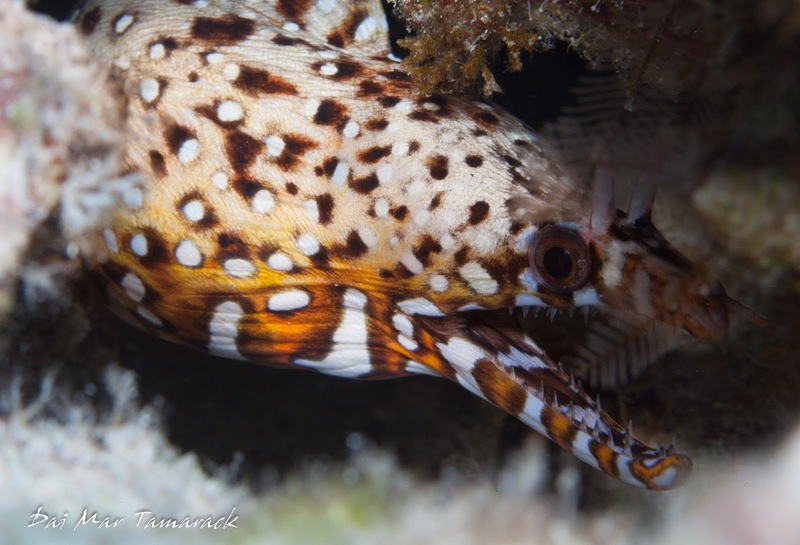 I glance at her face, turned in the same direction she was looking at immediately saw a sizeable reef shark. 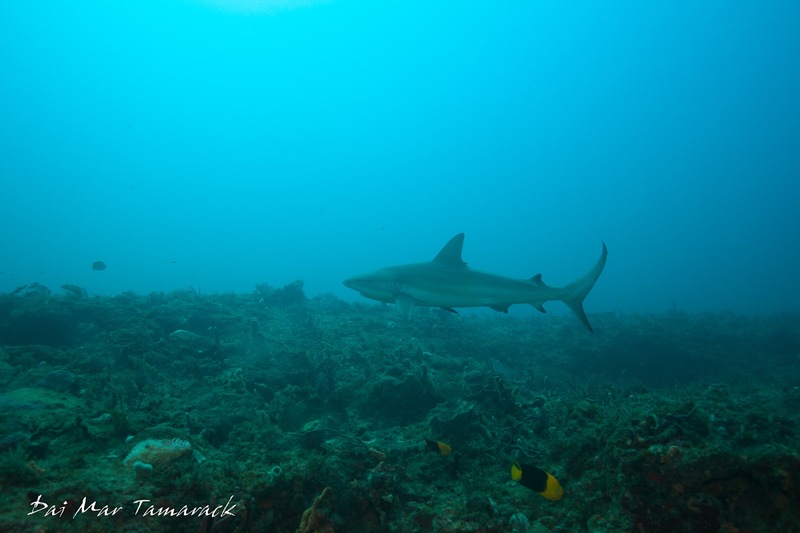 It was so nice to see something other than a white tip reef shark which is the usual suspect while diving in Hawaii. 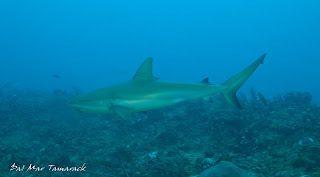 We ended up seeing a couple of Caribbean reef sharks and a couple of really big lemon sharks. 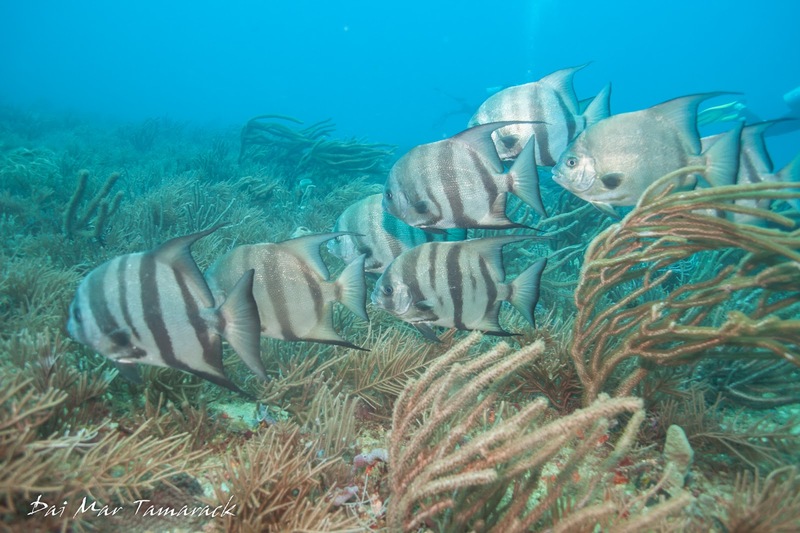 They really got active when some of the spear fishermen shot a couple of invasive lionfish. 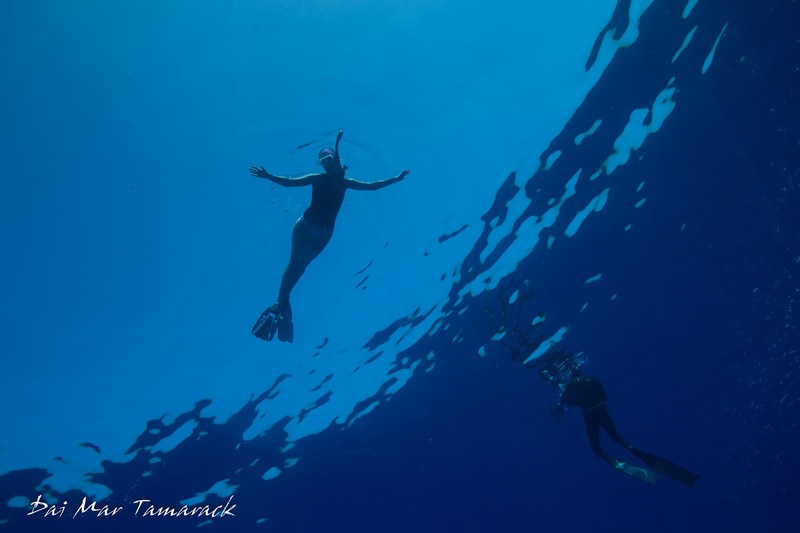 By this time the four of us had become separated from the rest of the divers since we were hanging back taking pictures. At a depth of 70' we were getting pretty low on bottom time so we swam closer together and started ascending for our 3 minute safety stop. It was during this time, as we were all still drifting in the current, that Nate filled up his safety marker and we all hoped that the boat would see it. On a day like this the waves would make it hard for a boat to see a diver on his own with no marker. But this is how divers do it in Jupiter and I always appreciate a challenge. Just remember if you do this dive to be advanced, confident, and bring your A-game...i.e. safety sausage. 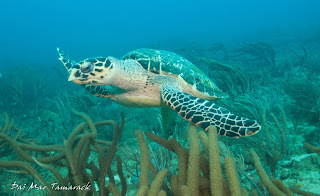 The second dive was similar in style to the first just insert turtles for sharks. 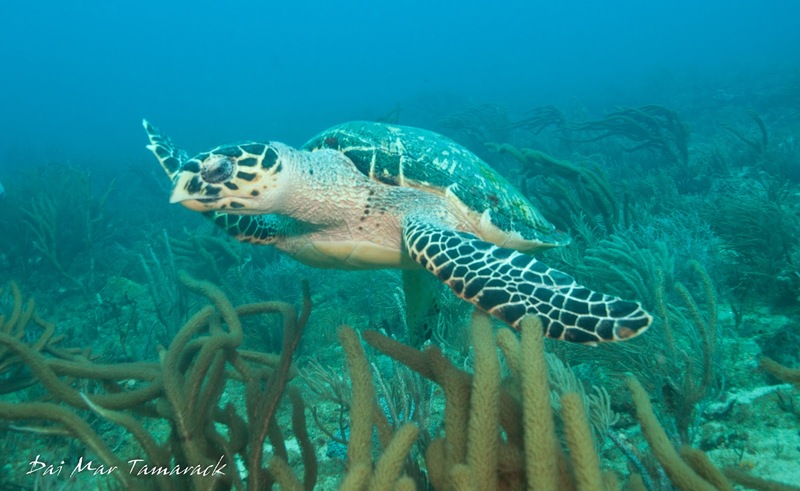 We spotted a loggerhead resting at the surface between dives, then a couple of hawksbill sea turtles 60' down moving through the reef. I was amazed at the amount of life. 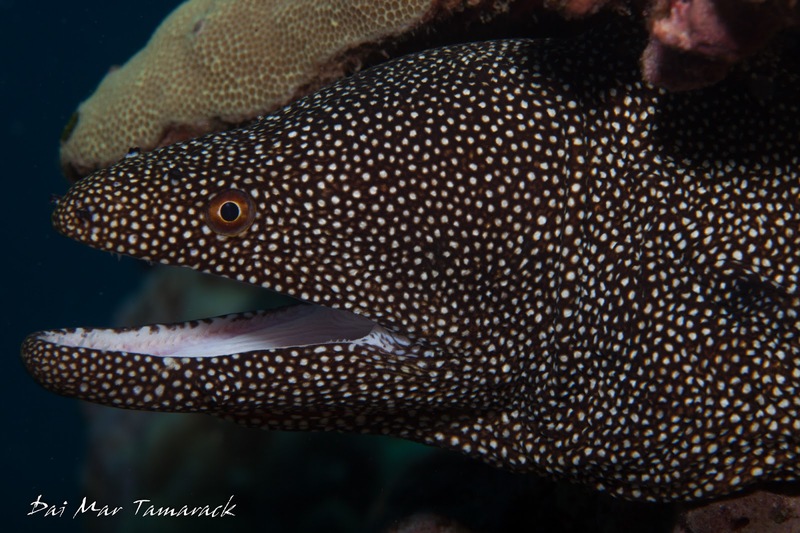 There were big schools of fish, colorful angelfish, and even a big moray eel called the reef home. 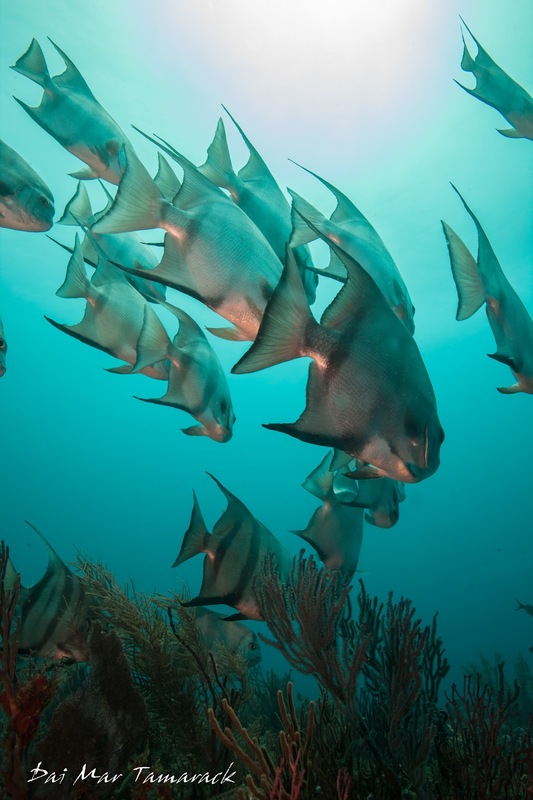 Some of my favorite fish were big spadefish cruising over the reef in schools of a dozen or so. 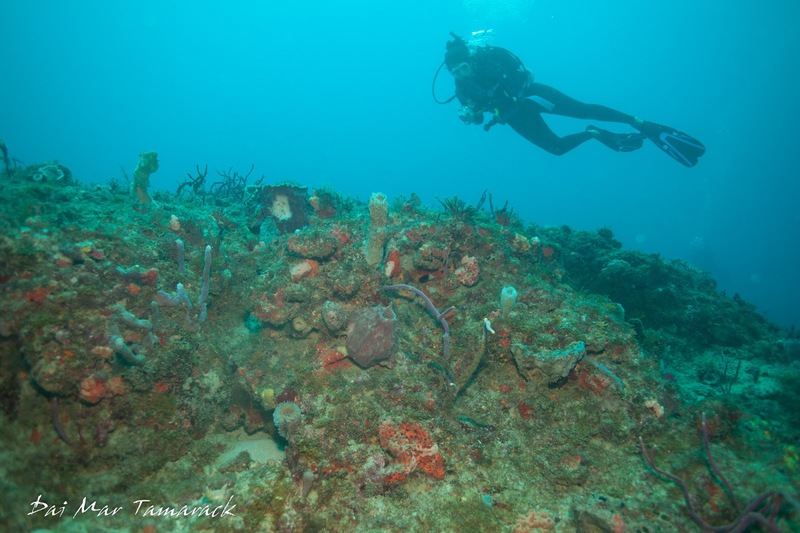 We drifted down the reef enjoying the beautiful Atlantic Ocean, finally solving the mystery of what it is like...at least for this small part of it. 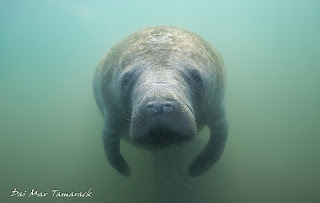 Swimming with manatees and photographing them underwater has been high on my list for some time now. I've heard stories and seen pictures coming out of some part of Florida so I had an idea that this was the place to start looking into achieving this goal. With a road trip to Miami in the works to see our good friends Nate and Kelly, I seized the opportunity to make this dream a reality. 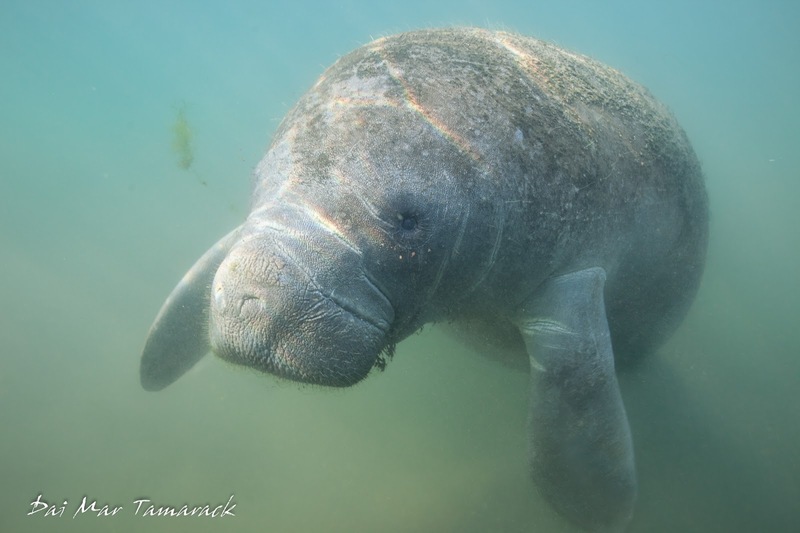 It turns out that Crystal River, on the Gulf side of Florida is the place to go to for manatee encounters. 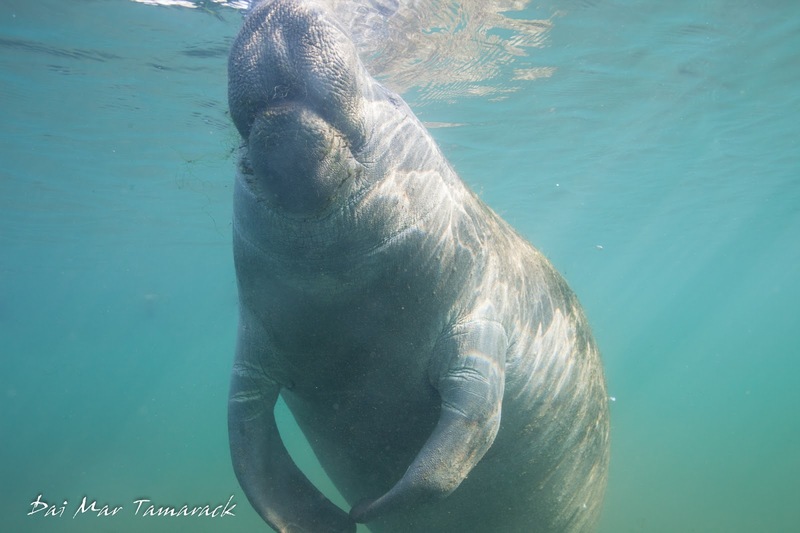 It is one of the few places left in the world that run tours to see the manatees and let you get in the water with them. 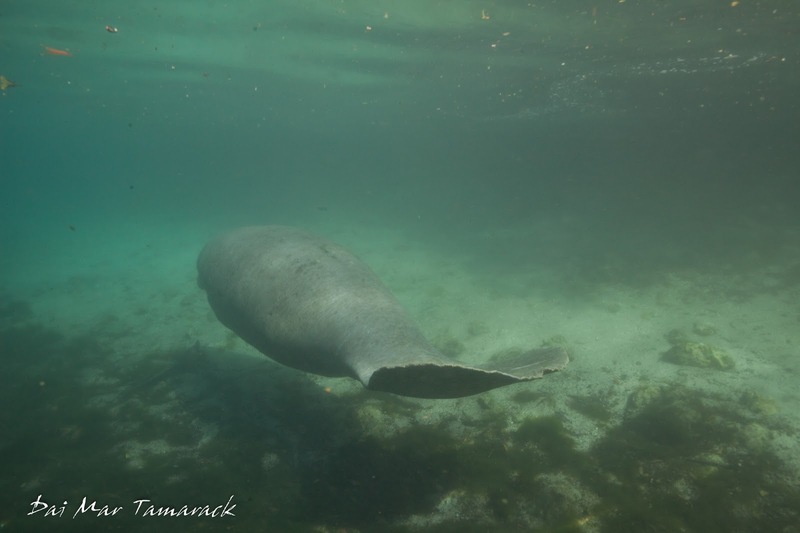 The manatees aggregate here during the winter months in the relative warm waters seeping up through fresh water springs. 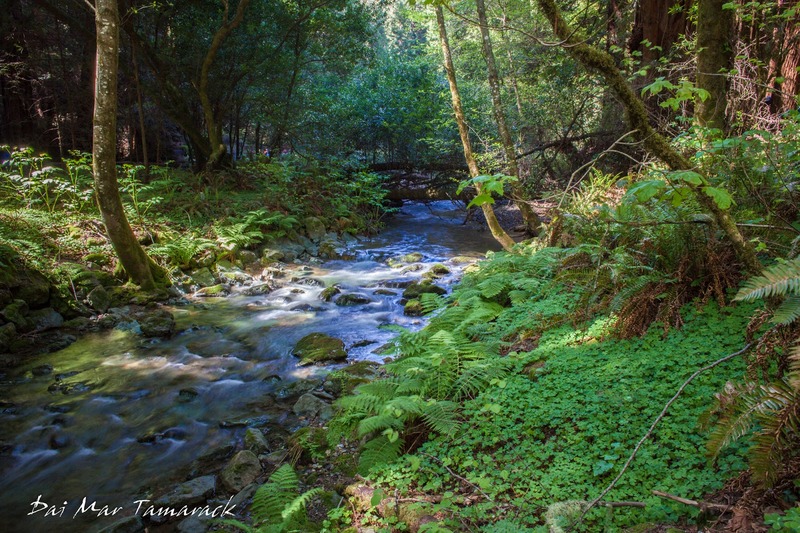 These springs also bring an unusual clarity to these otherwise turbid brown waters. 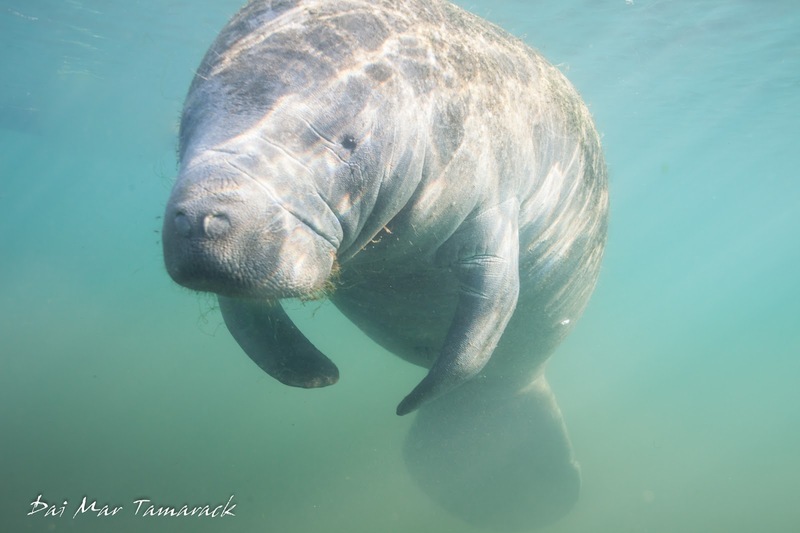 When I started looking into tour options it seemed like everyone was recommending Birds Manatee Tours. I called and the guy told me that there were manatees around but the photography is not good because they aren't really hanging out in the springs, but rather moving all around in the area. Apparently the winter months of January and February are the best. It wasn't a great start but I was determined to swim with a manatee. We arrived around 2:30 in the afternoon after driving down from Savannah so we missed all the tours that day but it gave us a chance to look around the area and scout things out. We ended up booking a place right on the water called The Port Hotel & Marina. 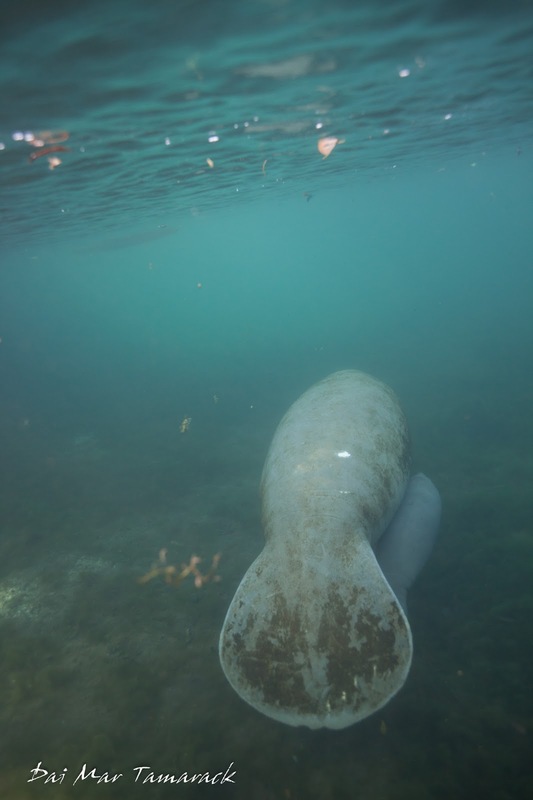 It had its own manatee snorkel operation which also rented kayaks. After some careful deliberation we decided to rent a tandem kayak the next day so we could go at our own pace and possibly jump in away from the crowds of the boat tours. This turned out to be the way to do it. When we woke up I could see all the boat tours from up North had ended up coming right down to the little islands just out front of our marina. We could have literally swam from the marina and been in with manatees in a couple of minutes. But the kayak was the perfect choice. 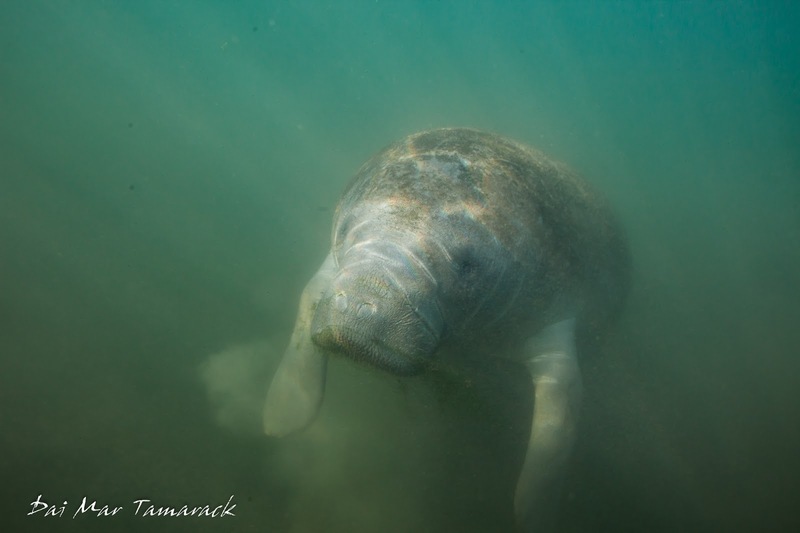 We could paddle around until we saw a manatee breath at the surface or sometimes we could see the light grey body swimming underneath us. The water was a bit murky away from the springs but pictures were still possible thanks to the manatees getting so close to us. All the boat people were wearing full wetsuits, but I was fine in just a thin wetsuit top. 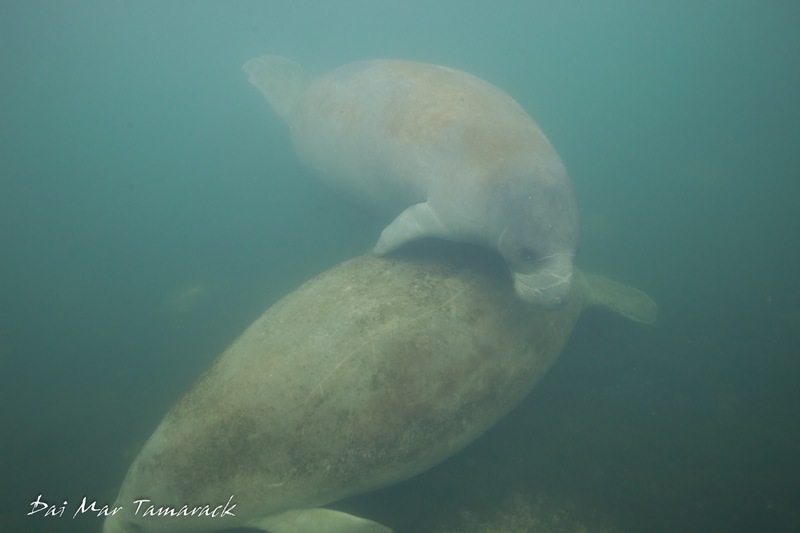 Heidi and I spotted three manatees so I jumped in and had the encounter of a lifetime. The first thing I noticed was just how huge these animals are. They are also very slow moving and didn't seem to be put off by me being in the vicinity. 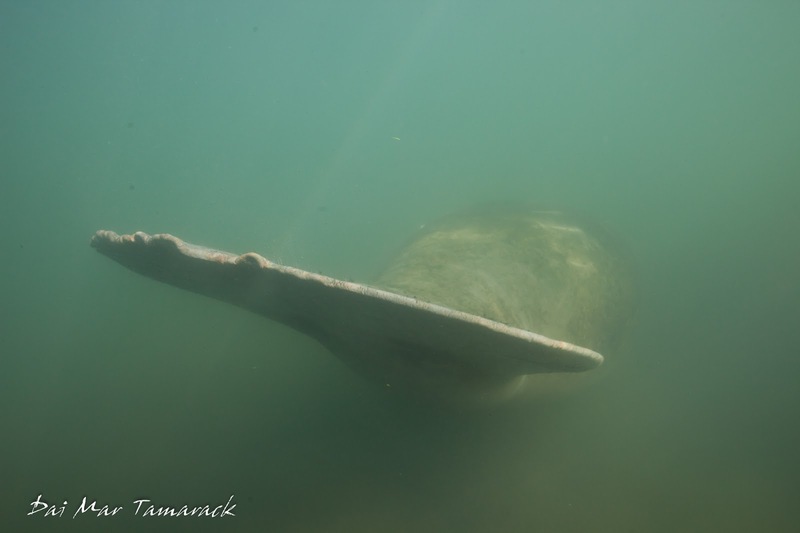 Every few minutes one of the manatees would come up to the surface. I hung with one manatee for a while all by myself. I took a few pictures but then it slowly rose up right in front of me, curled up a bit and looked right at me. I tentatively reached out to pet its cheek. It was such a magical moment. 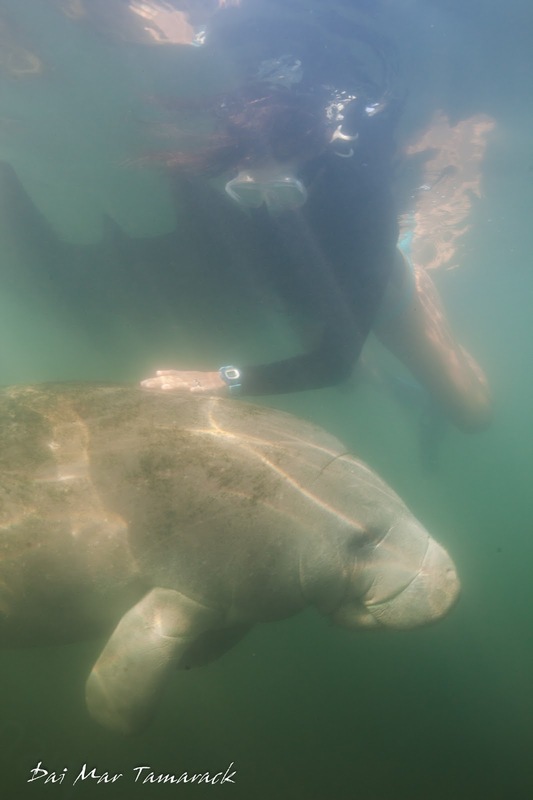 I think the rules about touching the manatees may change here in the near future but it was an incredible encounter that I will never forget. Their face resembles a big dog in a way although touching them feels more like a soft elephant. 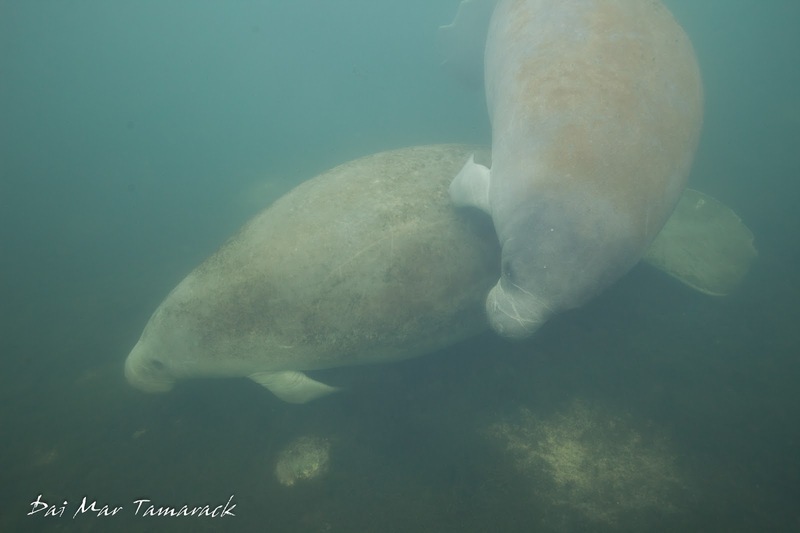 We had a few more great encounters with different manatees over the course of the morning and even ran into a mom with a new born baby, but nothing really compared to that special moment where it was just me and my manatee, bonding in just six feet of murky water. 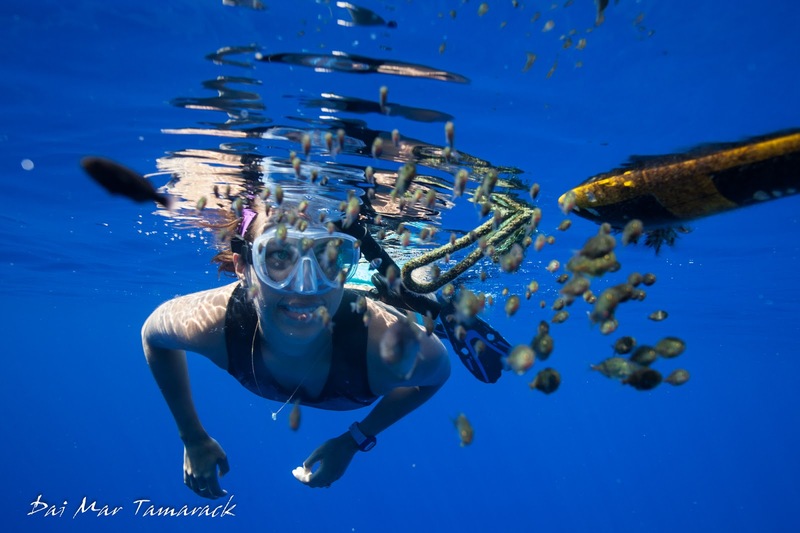 While relaxing in the Hawaiian Islands after a winter of working on a small adventure cruise ship, Heidi and I decided to head out in slightly smaller boats to explore the waters around the islands. We went out on our favorite whale watching boat, the Ocean Adventurer with Pacific Whale Foundation and our good friend Captain Ben. 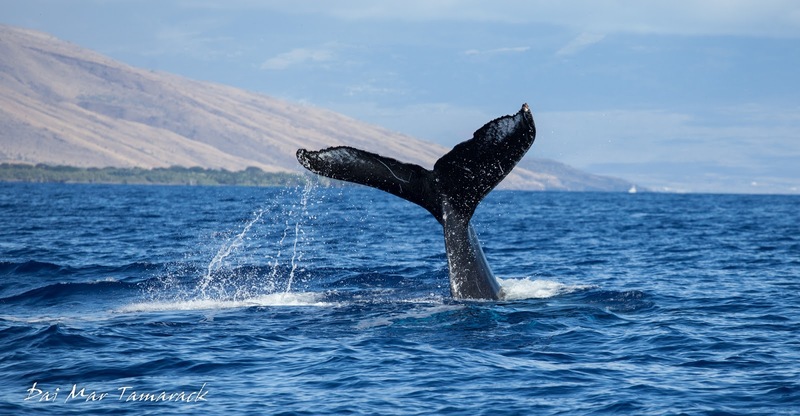 Maui is one of the best places in the world to look for humpback whales, especially in March. 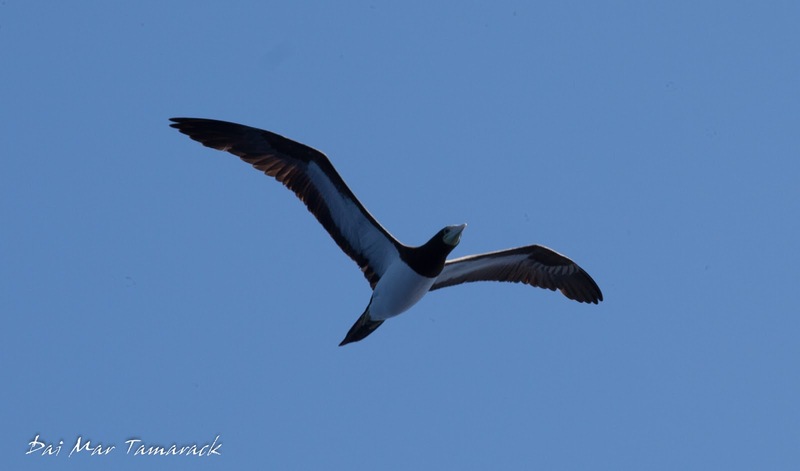 We had a great show with active whales and even a flyby from a brown booby. There has been a lot of talk about the number of humpbacks in the area this season not being as high as usual, with the possibility of many whales staying up in Alaska. It will be interesting to see if the whales are more dense than usual up in Alaska when I head there next month. 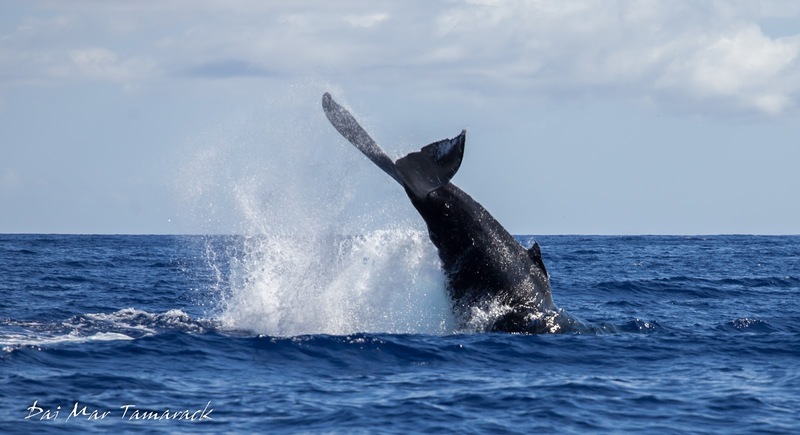 While I didn't get any great breach pictures from this trip we did get a close up view of a whale peduncle throwing, where the latter third of the whale flies violently out of the water. 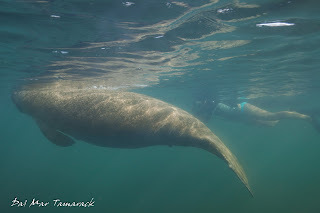 Getting to sit almost water level on a small boat and encounter whales the size of buses is an amazing thing, but Heidi and I wanted to take it one step further and actually explore the offshore underwater world ourselves. 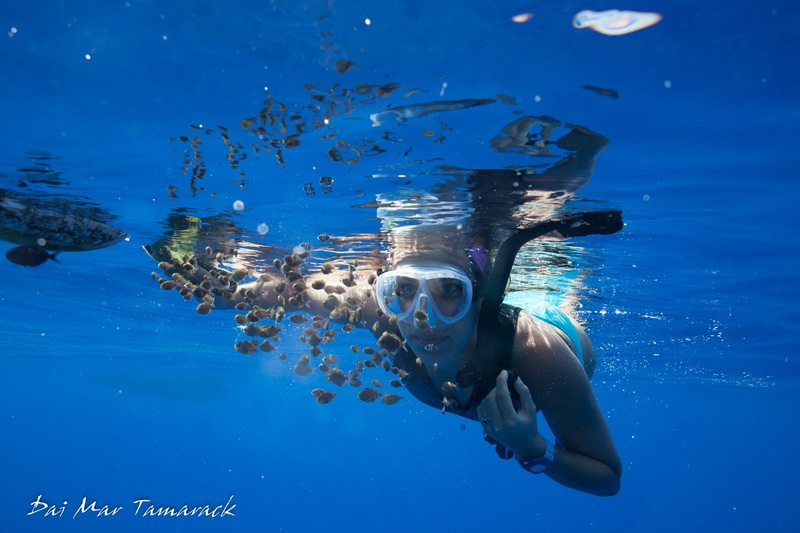 The best company for doing this in Hawaii is located on the Kona coast, it is WHOA, or Wild Hawaii Ocean Tours. These guys take you out in a military grade Navy SEAL attack boat looking for offshore critters. 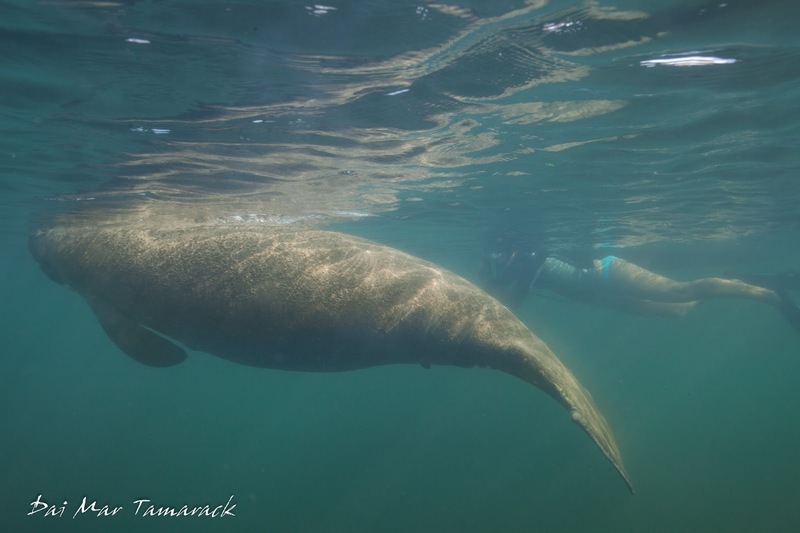 We had wonderful weather for an offshore adventure but were a little unlucky with finding charismatic megafauna. 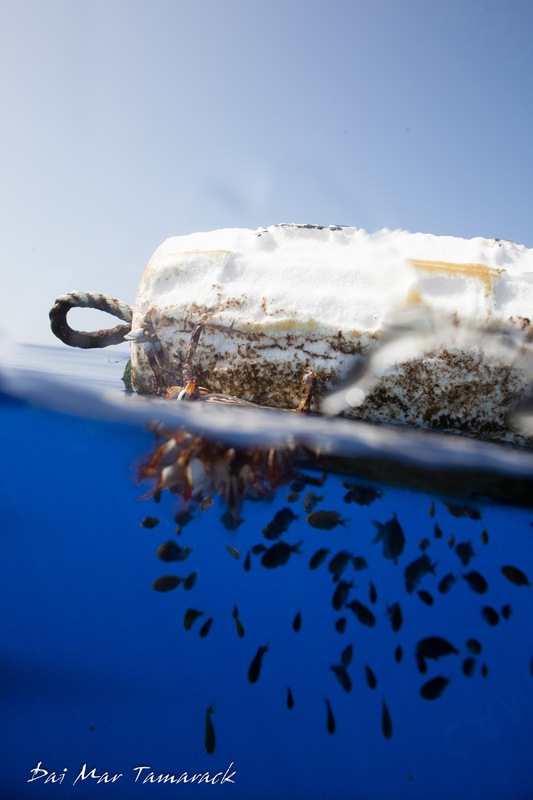 We did still jump in to 6,000ft deep water just to experience the most intense blue you could ever imagine and to check out some floating debris which provided a home for lots of tiny baby pelagic fish. These pictures of Heidi in front of the tiny school of fish turned out to be some of my favorite from the whole trip. It is a hard feeling to describe hovering over the abyss of 6,000ft of ocean. I imagine for most it would be quite unnerving, but there is something calming about it. I guess it is a life on the ocean for me. I've never had much fear sticking my camera in the face of moray eels, although lately there have been a couple of things that have given me pause to reconsider this. 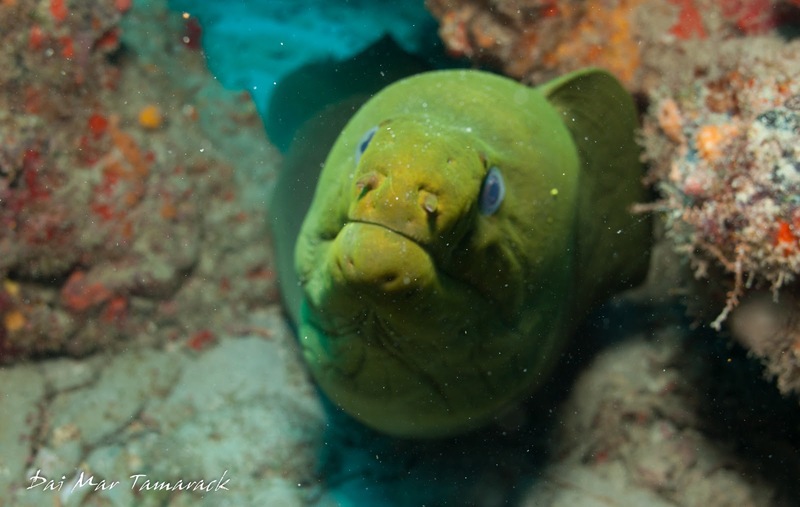 We saw a massive 7ft green moray in the Atlantic that was so wide and girthy that I didn't know what I was looking at at first. Then there are the stories. 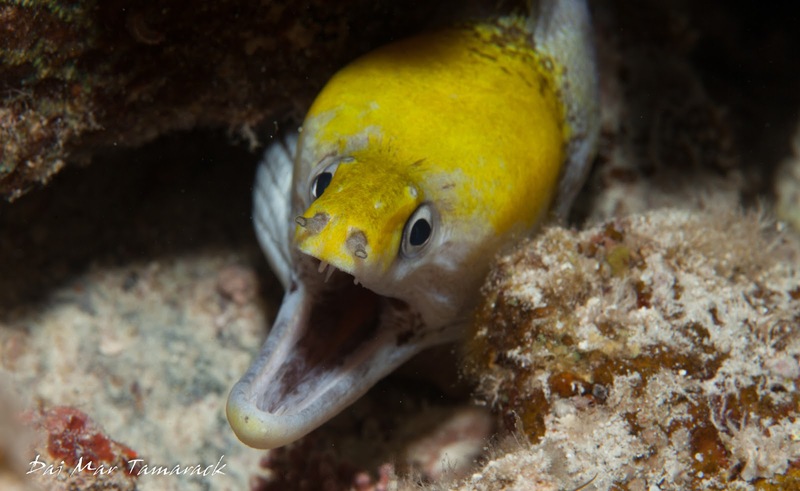 So in all my time underwater I've never been bitten, attacked, or even feinted at by a moray eel. But our friends over at Kona Diving Co. gave us a few stories of friends getting bitten, usually after pointing at the eel or something nearby with an extended finger. I don't take too much stock in stories about friends friends though so it took a little more, and a little more I got. 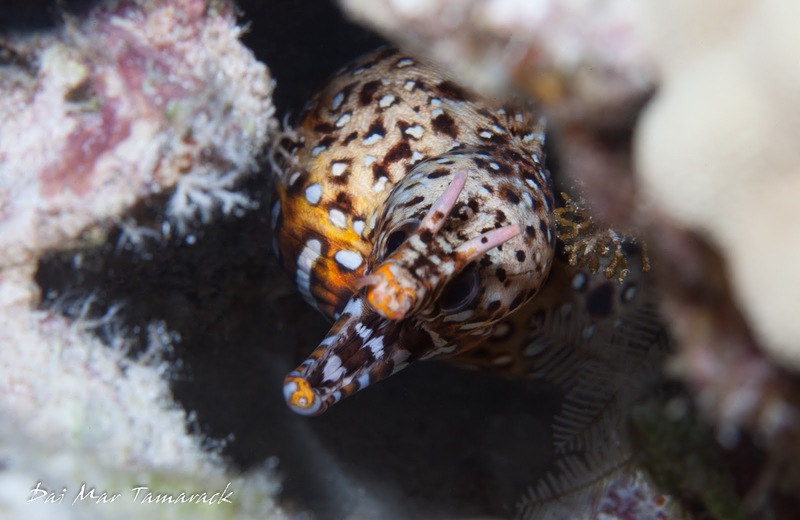 One of the divers at the shop pointed to two small scars on her neck that looked like a vampire bit. Then she turned and showed us other scars on the other side of her neck up under her hairline. 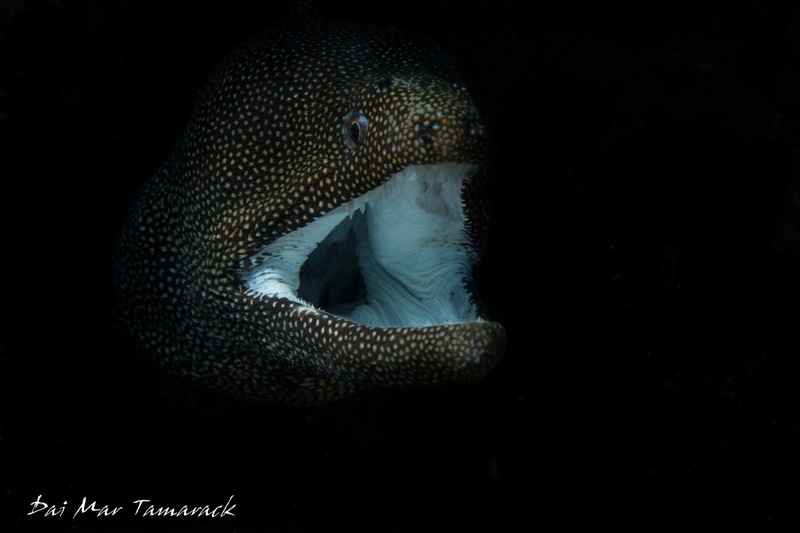 What happened was the eel opened its jaws so wide that it grabbed both sides of her neck. The craziest part of the story was she had just been swimming along, never seeing the eel, when she felt something grab her neck. 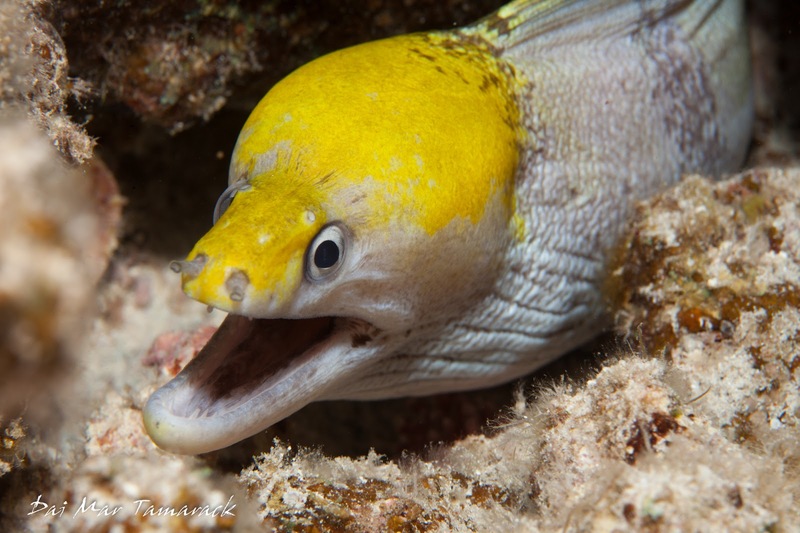 She thought it was her dive buddy missing her so she waited until he let go then turned, but instead of seeing her buddy, who was 50 ft away, she saw a massive viper moray eel swimming off. She shook her underwater noise maker until getting her dive buddies attention. As he came close enough to see the wounds she noticed his eyes goes wide, at the same time a curtain of blood started to rise up past her face. Amazing she was fine as the eel hit no major arteries or vessels. The diver did realize later that diving with a stuffed octopus on her hood might not be the best idea, as octopi are eels favorite food. 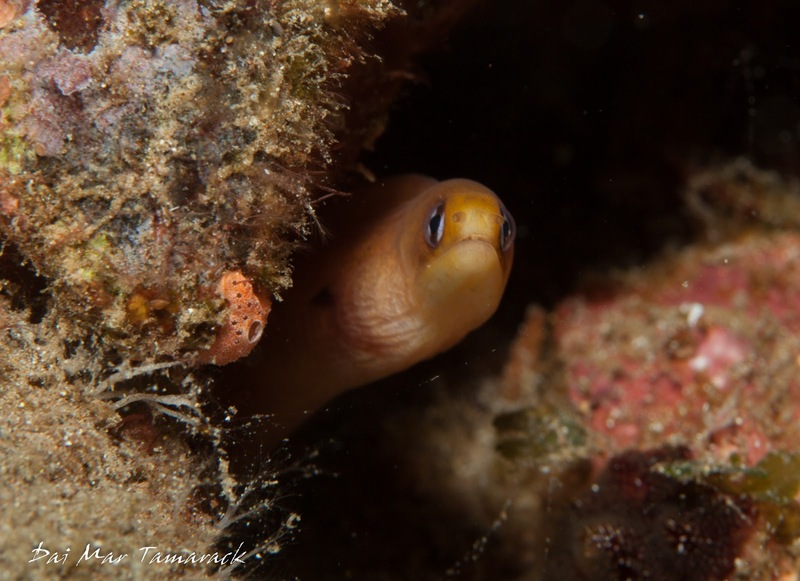 Once the eel realized it had something a little bigger than an octopus it probably just let go and swam back to its hiding place. A near miss if I've ever heard one.